I’ve mentioned a few times that I’m part of a feminist fantasy book club, and for our first meeting of the year, this was our set book. Unfortunately I was running a little late and forgot to take photos of the wonderful Greek feast one of our members made, but I did read the book. 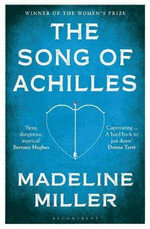 “The Song of Achilles” by Madeline Miller is a fantasy retelling of the Greek myth of Achilles. The story is told from the perspective of Patroclus, a disgraced prince who is banished to the kingdom of Peleus after a terrible accident. Although initially isolated and lonely, Patroclus is soon befriended by Peleus’ godlike son Achilles. As the boys grow up together, under the tutelage of the centaur Chiron, they form an inseparable bond. However, increasingly determined to fulfill his destiny as the greatest warrior of all time, Achilles is drawn into a war that will put their love to the test. The first half of this book was brilliant. Miller brought a unique and romantic perspective to this classic myth and a sense of realism to the characters of Patroclus and Achilles. I especially loved the dreamy and idyllic chapters in Chiron’s home where the two boys could explore their feelings for each other and their own hopes and dreams for the future without interference from the outside world. I thought that Miller did a good job of exploring Patroclus’ feelings of inadequacy juxtaposed against Achilles’ sense of entitlement, and the first half of the book was extremely engaging. However, the second half of the book, when the young men go off to the Trojan war, I found to be a lot more difficult to get through. It wasn’t quite so obvious for the first half of the book, but for the second half it becomes abundantly clear that Patroclus didn’t actually have any purpose or work apart from being with Achilles. 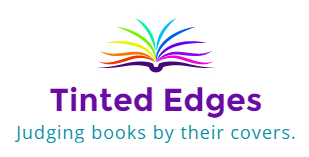 It was very late in the book that he started taking an interest in healing, which made him quite a frustrating point of view character up until that point. Also, I completely understand that according to the mythology Achilles spends 10 years fighting the Trojan war, but even though it only took up a couple of hundred pages in the book, the war part really seemed to drag on. I did appreciate that the war camp turned into its own ecosystem, but it just seemed a bit relentless that 10 years would pass with so little happening. Anyway, an excellent example of direct queer representation that was a bit slow-going plot-wise at times. I first read this author when I was 18 years old after his book “Cloud Atlas” was recommended to me by someone I was seeing at the time. I have been slowly getting to some of his other books, though his manuscript for the Future Library project is something I will probably never get to read. Anyway, I was getting to the pointy end of my 2018 reading challenge, and this book was short and sitting on my shelf so I decided it was time to read it. 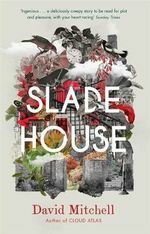 “Slade House” by David Mitchell is a horror novel set in the UK. It begins in 1979 with a teenage boy called Nathan who is dragged along by his mother to an exclusive event at a manor called Slade House. After some difficulty finding the address, and after Nathan taking some valium, they eventually find the iron door in an alleyway and make their way into the manor’s garden. Things don’t seem so bad and Nathan befriends another teen called Jonah. However, when things start becoming a little strange, Nathan finds himself unable to leave. 9 years later, a divorced police officer is investigating Slade House and disappearances that are associated with the mysterious address. 9 years later after that, a shy member of a supernatural club goes to a party at Slade House. Will the cycle continue, or will someone be able to break the circuit and see through the illusion? This book was genuinely terrifying. I was about halfway through, in the chapter Oink Oink, and my heart was positively racing. Mitchell has a real flair for getting inside the head of a diverse cast of characters, and for conjuring empathy in his readers. Each point of view character is isolated in their own way, and Mitchell shows us that courage comes from unexpected places and to never underestimate people based on their appearance. Mitchell is also an expert in layering stories and each chapter builds on and elaborates the former, bringing the true horror of the story to the fore. I actually don’t have much more to say about this book except that if you’re looking for a well-written and extremely unsettling horror story, look no further. 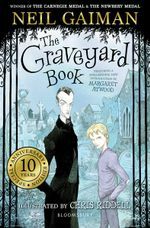 About a year ago, I found out that one of my favourite authors was retelling British folklore. I was excited then, and I was just as excited a couple of months ago when I saw that she had released a second book in a similar theme. Just as pretty, with a deep blue hardcover and nautical imagery in silver detail, I knew I had to have it. 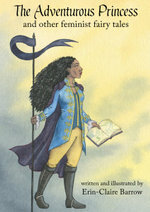 “The Blue Salt Road” by Joanne M. Harris is a fantasy novella about a young man of the Grey Seal clan, the most playful of the selkies, and he the wildest of them all. Tempted by the adventure of walking among the Folk who live on land, he casts off his seal skin one night at the call of a red-haired lass. After meeting her under the moonlight several times, the young man is tricked, his sealskin stolen and his memories gone. With no memory of his former life, the young man must try to make the best of a new life thrust upon him. However, when he is asked to do the unthinkable and with no knowledge of how to return to his home, the young man soon finds himself with nowhere to go. Inspired by the ballad “The Great Silkie of Sule Skerry“, this story takes the most well-known version of the selkie myth, where a man steals a selkie-woman’s skin to make her his bride, and turns it on its head. 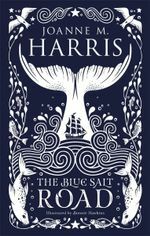 Harris, in her trademark immersive style, takes the coastal landscape and examines it from every angle: a watery wonderland, a cold and inhospitable climate, a place of fear, a place of love. In the same way, she takes the selkie’s relationship and examines it from every angle: a place of lust, a place of betrayal, a place of understanding, and a place of love. This book made me a lot more uneasy than her previous one in this collection. I think part of it was that the story of a man tricking a woman to be with him is so pervasive, but the story of a woman tricking a man to be with her is much less common. For some reason, men pursuing women by any means is normalised but women pursuing men by any means feels wrong. Without going into spoilers, the ending made me even more uneasy. I felt that Harris explored an interesting motive behind the red-haired woman’s actions, but ultimately I found the successive breaches of trust a bit hard to deal with. I get that Harris is going for a dark interpretation, but I there was something about the ending left me much more unsettled than the previous one. 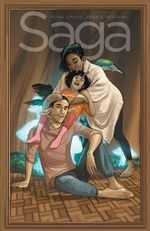 A beautifully rendered story with a hint of bitterness, Harris challenges our understanding of gender through this traditional tale.